In April 2014, the CFPB announced its plans to address the major consumer “pain points” in the mortgage closing process. With October Research, LLC on hand they announced plans to launch an eClosing pilot designed to reduce these pain points and streamline the overall closing process. 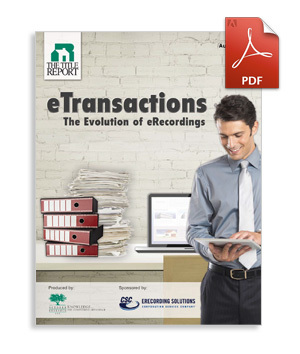 Thanks to sponsor, Corporation Service Company (CSC), this report is available as a free download.